Welcome to the continuation of famous Mario Forever. After what happened in first part many things changed. Evil bowser rebuilt his army and kidnapped princess to another planet. This time Mario is not alone. He is helped by his friend Lugi, inhabitant of muschroom kingdom named kinopio, and even Samus Aran known from metroid series. Select your favorite character with unique skills, upgrade your ship in million ways in a shop, where 60 different weapons await you and every single one of them has 10 Upgrade levels. 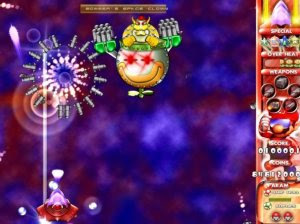 Fight on 8 cosmic maps and defeat enormous bosses while listening to climatic and dynamic music.